A wood router is a very beneficial and versatile tool for the woodworkers in an industry or anywhere. The experienced woodworker can easily choose the best wood router as he is aware of everything. 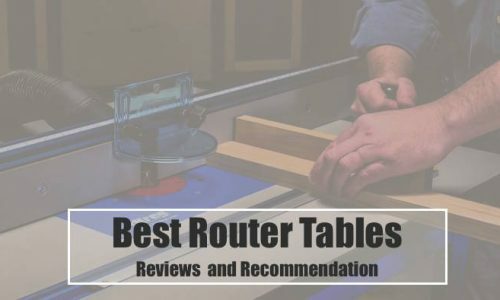 But here we will discuss Tips for purchasing a Wood Router that will make it easy for a beginner to choose the wood router. With the help of the wood router, you can easily cut or groove the pieces of wood in no time. Its ample range of features makes it easy for you to efficiently complete your woodworking project. This tool comes with great proficiency in dealing with the heavy loads. If you are looking to buy a wood router, then you may get confused with different models and size. This is because of the wide range of wood routers that are available in the market. Therefore, it’s better to have a look at the important tips for purchasing the wood router. Such tips are given below in the next section. The selection of the wood router totally depends on for which type of work you are going to use it. If you are going to use the router for heavy loads and for a long time, then it’s better to purchase the high-quality wood router. This will not only help in your project but will also increase the durability of the tool. − This is one of the main factors to consider while buying any type of wood router. Choose the wood router that offers high-speed on low torque and that is easy to use. Also, select the wood router that is light in weight as this will make it more convenient to use. − A wood router of large horsepower is suitable for industrial or production work. While a medium-size router can generate enough power for home purposes. − With the help of this feature, you can get many advantages like operating the router at a lower speed when working with large bits. The dial represents the relative speed of the router that it is currently working on. − While buying the wood router, make sure you buy one that has comfortable handle and grip. This will allow you have better control over the router and also to prevent any damage. − Look for a wood router that has a clear base and mounting holes. A clear base will help you to see the work area clearly without any disturbance. This feature will greatly help you when you are going to use it for routing with wood or other purposes. − When you make a final purchase of your wood router, make sure it has an adjustable control knob. With this feature, it becomes easy for you to make fine adjustments. Also, if you find the router that allows setting the scale to zero, then prefer that wood router. These are the important factors that you can consider while buying the wood router for your project. You should also look for the things like the price of the router, durability, portability, and much more. Make sure you buy your wood router from the trusted and official stores to get the genuine product. 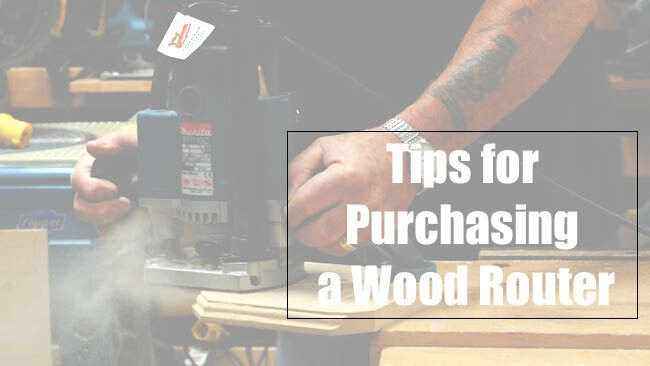 Now that you all know the Tips for Purchasing a Wood Router, tell us which wood router you are going to buy. If you have enjoyed reading this article, then follow us for more updates on the wood router. Also, don’t forget to share your valuable feedback and thoughts on our official website.